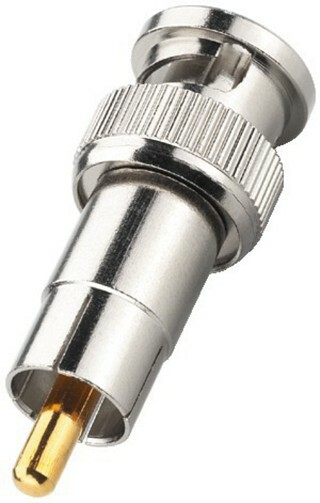 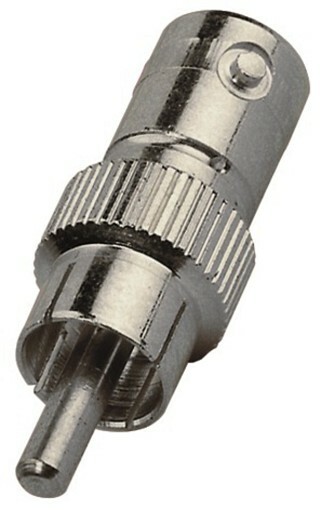 Enlarge BNC T-connector, 75 Ω , 3 x BNC jack. 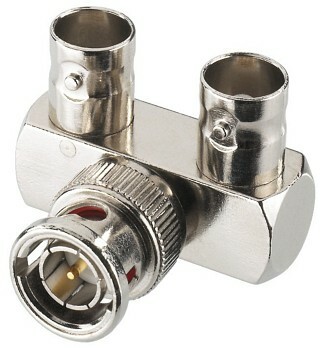 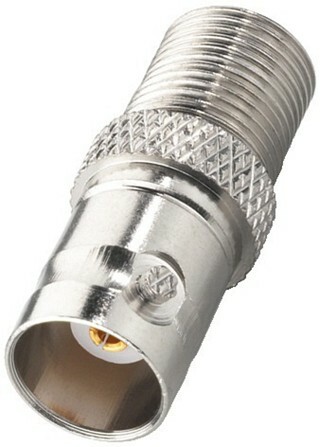 Enlarge BNC Y splitter, 75 Ω , 1 x BNC plug, 2 x BNC jack. 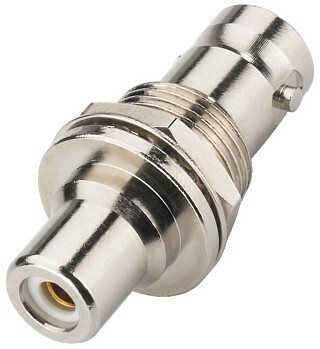 Enlarge BNC Y splitter, 75 Ω , 1 x BNC plug, 2 x BNC jack, right-angle. 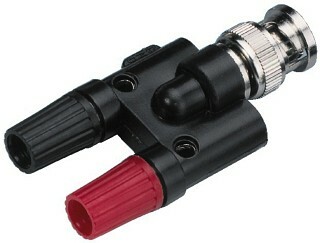 Enlarge Adapter F screw jack/BNC plug . 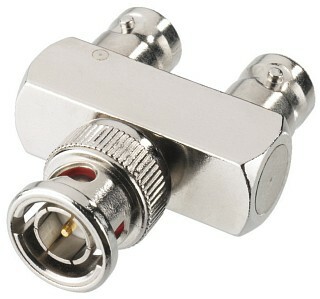 Suitable for 75 Ω antenna cables with rigid internal conductor. 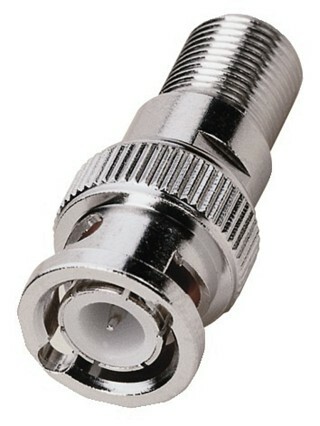 Enlarge Adapter F screw plug/BNC plug . 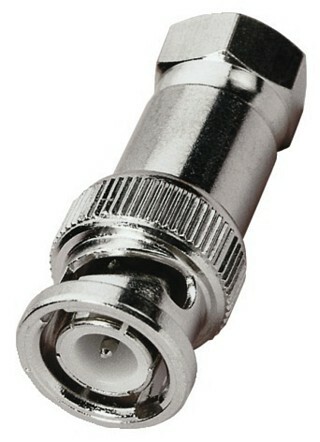 Suitable for 75 Ω antenna cables with rigid internal conductor. 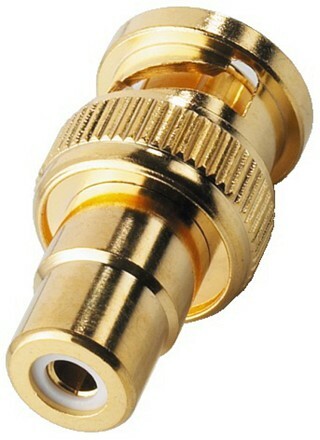 Enlarge Adapter F jack/BNC jack . 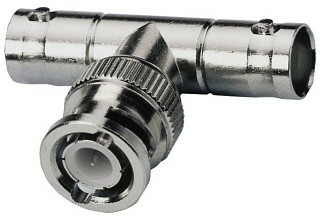 Suitable for 75 Ω antenna cables with rigid internal conductor. 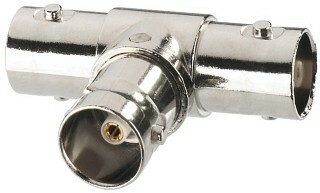 Enlarge BNC T-connector, 50 Ω , 1 x plug, 2 x jack.